I learned a few years ago, that my great grandfather was in the Civil War, and have been reading about it ever since. What an amazing time in our country's history and the more I learn about it, the more I realize that our present day political polarization isn't so different than it was in those days. Even our own households can be divided politically and our differences can seem quite large. 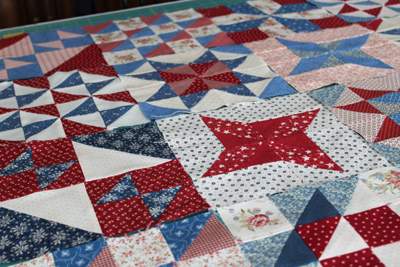 I am currently sewing Civil War blocks to create two quilts. 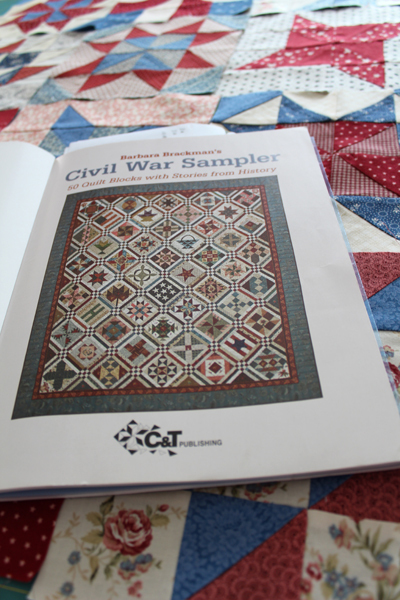 I am using red, blue and off- white reproduction fabrics and patterns from Barbara Brackman's Civil War Sampler Quilt Book. Her book has 50 different patterns, and the directions include different ways to assemble these blocks to create different quilts. It is providing me with much practice using different piecing techniques, and I am working to get my blocks exact so as to have corners meet and points remain points! I am also reading about various women of those days and making the most out of what they have, and figured I might as well try to do the same. It makes me feel good to create something beautiful, as I think about the present's difficult issues. Passionate conflicts and divisions seem to be dividing us just as they did during the Civil War days. I am trying to be positive and hopeful that verbal discourse will lead to solving the problems at hand, and no matter what happens, I will have created some beautiful quilts! I am simple and practical enough to hope that relaxing and creating something beautiful will be a first step to creating peace in our household despite our differences. 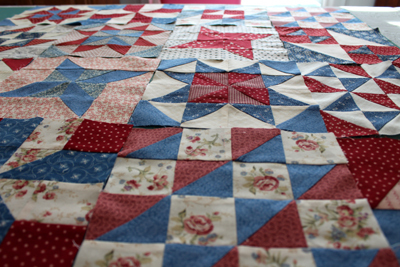 My quilt blocks will be as diverse as our opinions and yet will hopefully create a beautiful whole and unified quilt. Should our country be as fortunate! Labels: Modern quilts to commemorate our present political division; Civil War Quilts.